A wide variety of images around us are the outcome of interactions between lighting, shapes and materials. 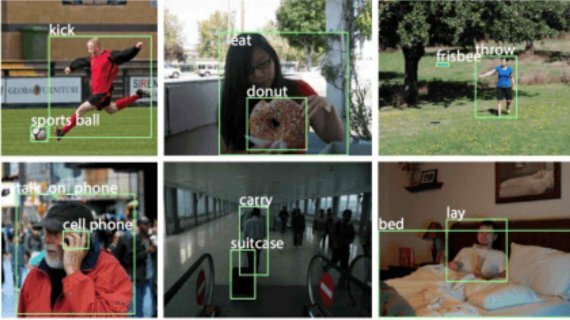 In recent years, the advent of convolutional neural networks (CNN) has led to significant advances in recovering shape using just a single image. 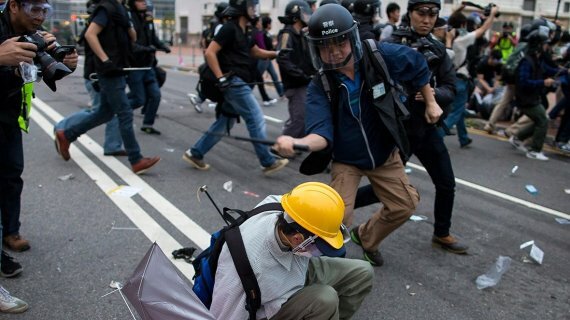 One of the problems which didn’t get much attention is material estimation which has not seen as much progress, which might be attributed to multiple causes. First, material properties can be more complex. Even discounting more complex global illumination effects, materials are represented by a spatially-varying bidirectional reflectance distribution function (SVBRDF), which is an unknown high-dimensional function that depends on incident lighting directions. Secondly, pixel observations in a single image contain entangled information from factors such as shape and lighting, besides material, which makes estimation ill-posed. 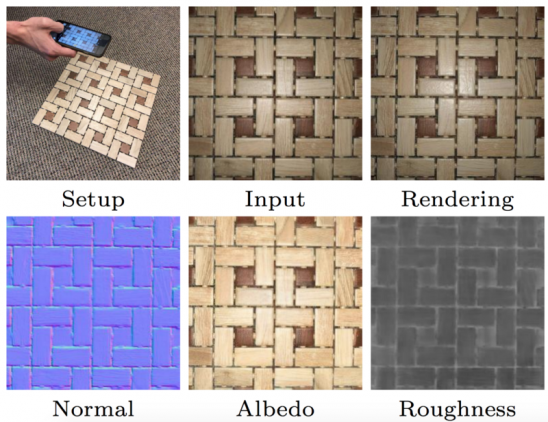 The researchers from Adobe developed a state-of-the-art technique to recover SVBRDF from a single image of a near-planar surface, acquired using the camera of the mobile phone. This is a contrast to conventional BRDF captures setups that usually require significant equipment and expenses. 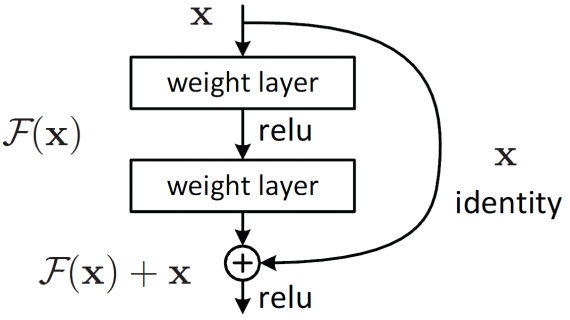 Convolutional Neural Networks is specifically designed to account for the physical form of NDRFs and the interaction of light with materials. 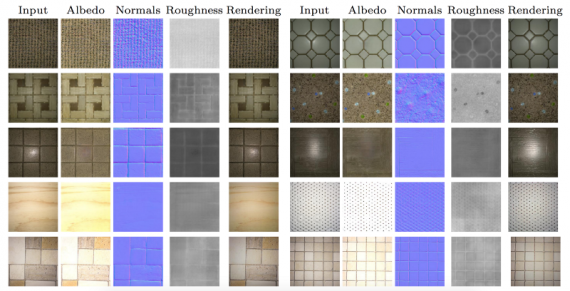 A novel lightweight SVBRDF acquisition method that produces state-of-the-art reconstruction quality. A CNN architecture that exploits domain knowledge for joint SVBRDF reconstruction and material classification. Novel DCRF-based post-processing that accounts for the microfacet BRDF model to refine network outputs. 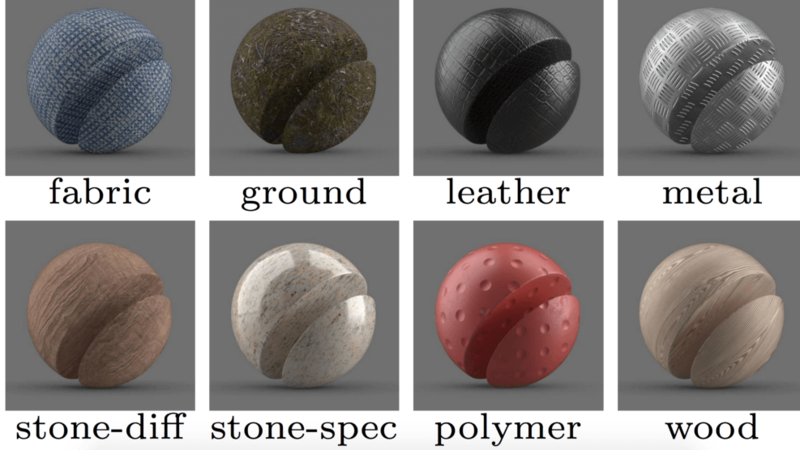 An SVBRDF dataset that is large-scale and specifically attuned to the estimation of spatially-varying materials. Where vi and li are the view and light directions and hi is the half-angle vector. Given an observed image I (di, ni, ri, L), captured under unknown illumination L, scientists wish to recover the parameters di, ni and ri for each pixel i in the image. Dataset: The dataset has been used is Adobe Stock 3D Material dataset which contains 688 materials with high resolution (4096 x 4096) spatially-varying BRDFs. Scientists use 588 materials for training and 100 materials for testing. For data augmentation, authors randomly crop 12, 8, 4, 2, 1 image patches of size 512, 1024, 2048, 3072, 4096. The distribution is shown in figure 2. The basic network architecture consists of a single encoder and three decoders which reconstruct the three spatially-varying BRDF parameters: diffuse colour di, normal ni and roughness ri. The intuition behind using a single encoder is that different BRDF parameters are correlated, thus, representations learned for one should be useful to infer the others, which allows a significant reduction in the size of the network. The input to the network is an RGB image, augmented with the pixel coordinates as a fourth channel. Authors add the pixel coordinates since the distribution of light intensities is closely related to the location of pixels, for instance, the centre of the image will usually be much brighter. Since CNNs are spatially invariant, they need the extra signal to let the network learn to behave differently for pixels at different locations. 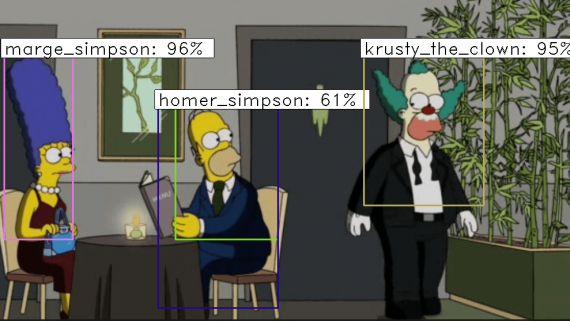 Skip links are added to connect the encoder and decoders to preserve details of BRDF parameters. To this end, our encoder network has seven convolutional layers of stride 2, so that the receptive field of every output pixel covers the entire image. Qualitative results with different mobile phones: Figure 5 presents SVBRDF and normal estimation results for real images captured with three different mobile devices: Huawei P9, Google Tango and iPhone 6s. 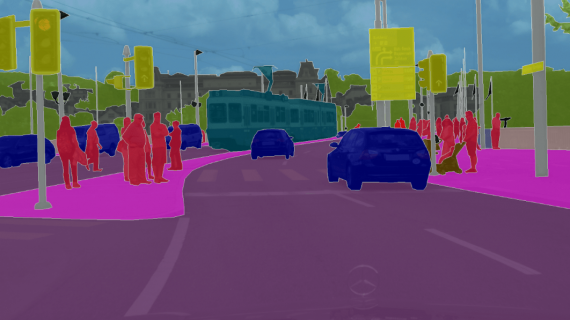 Scientists observe that even with a single image, our network successfully predicts the SVBRDF and normals, with images rendered using the predicted parameters, appear very similar to the input. Also, the exact same network generalizes well to different mobile devices, which shows that our data augmentation successfully helps the network factor out variations across devices. For some materials with specular highlights, the network can hallucinate information lost due to saturation. The network can also reconstruct reasonable normals even for complex instances. Figure 6: BRDF reconstruction results on real data. Authors tried different mobile devices to capture raw images using Adobe Lightroom. The input images in were captured using Huawei P9 (first three rows), Google Tango (fourth row) and iPhone 6s (fifth row), all with a handheld mobile phone where the z-axis of a camera was only approximately perpendicular to the sample surface.